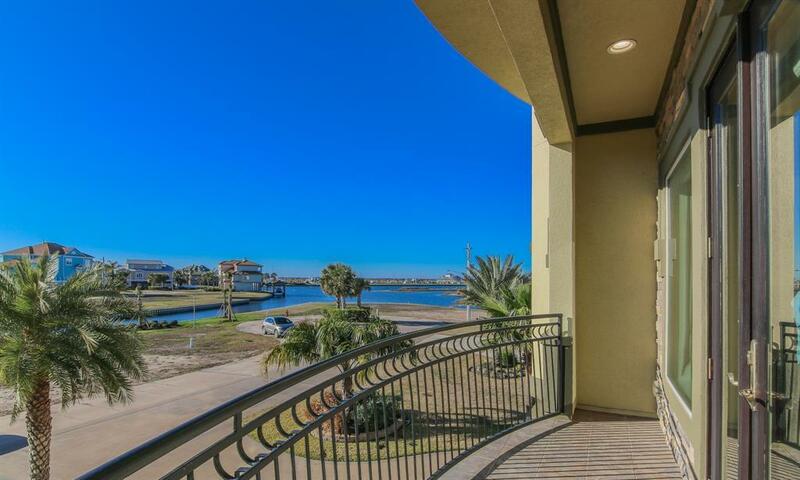 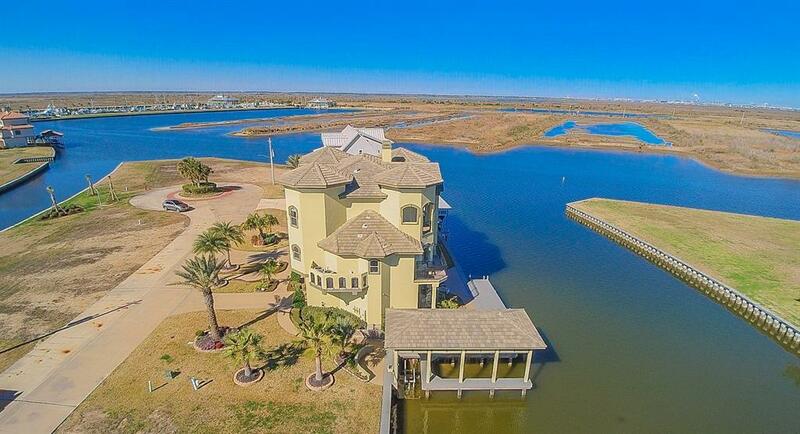 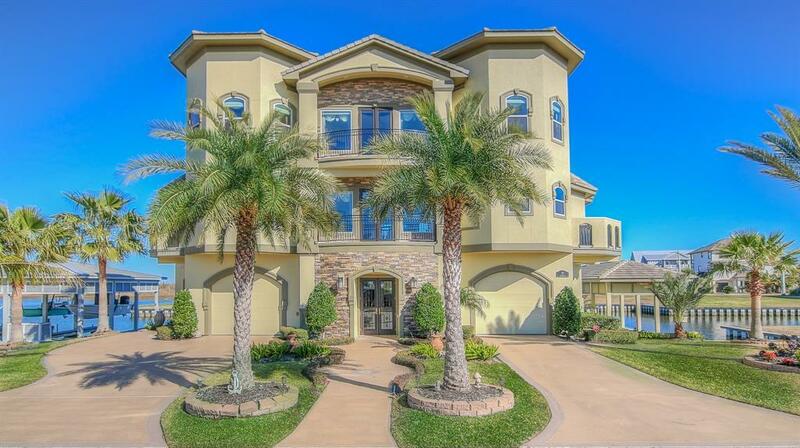 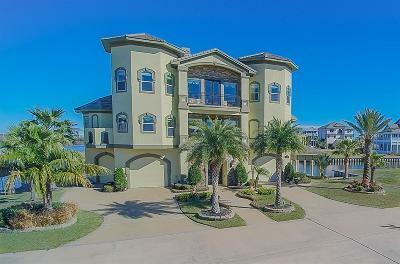 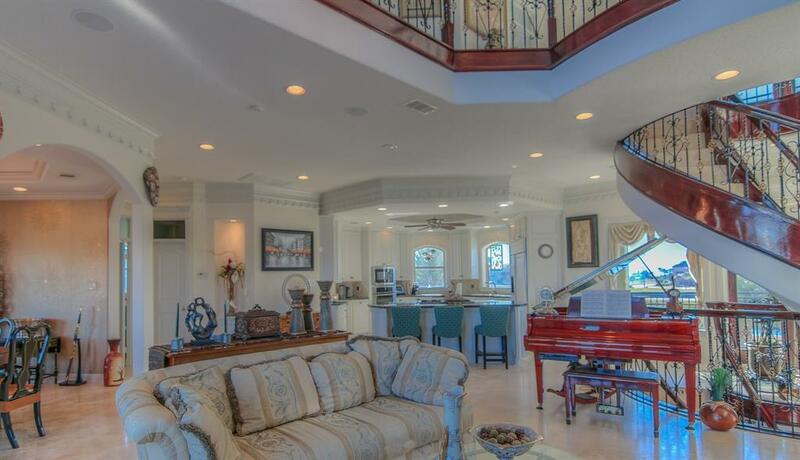 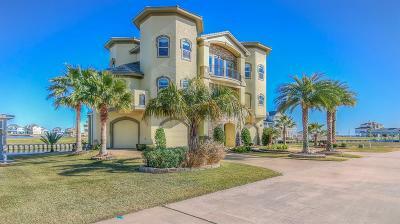 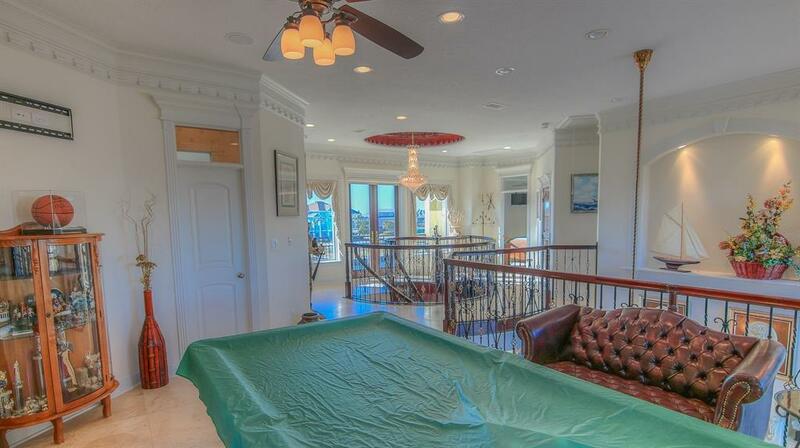 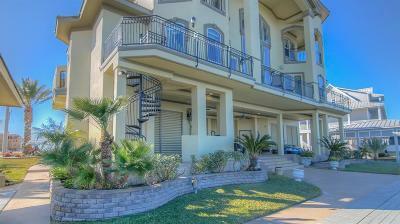 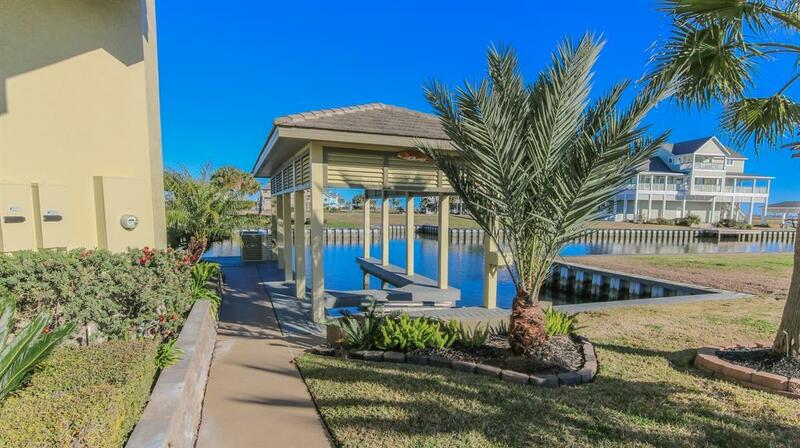 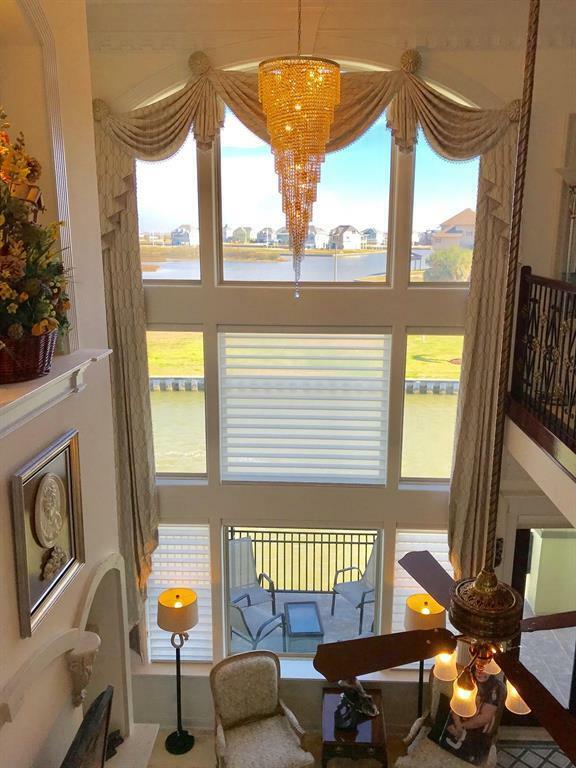 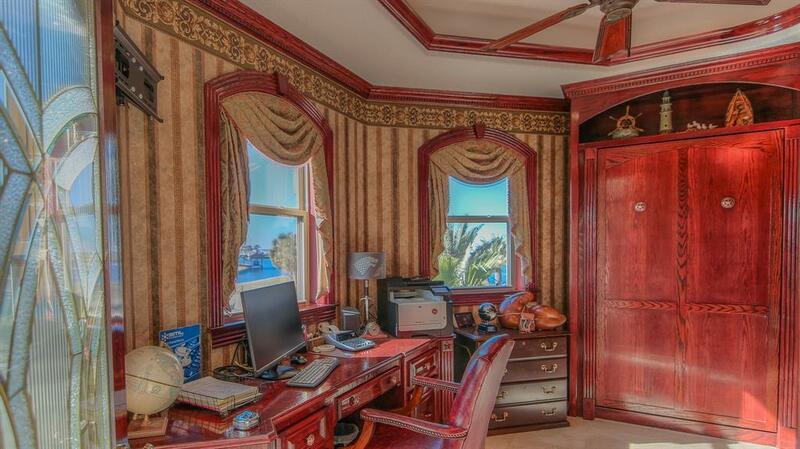 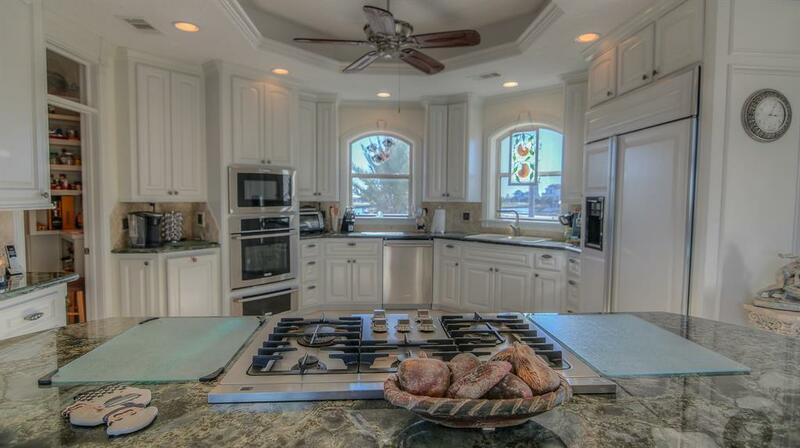 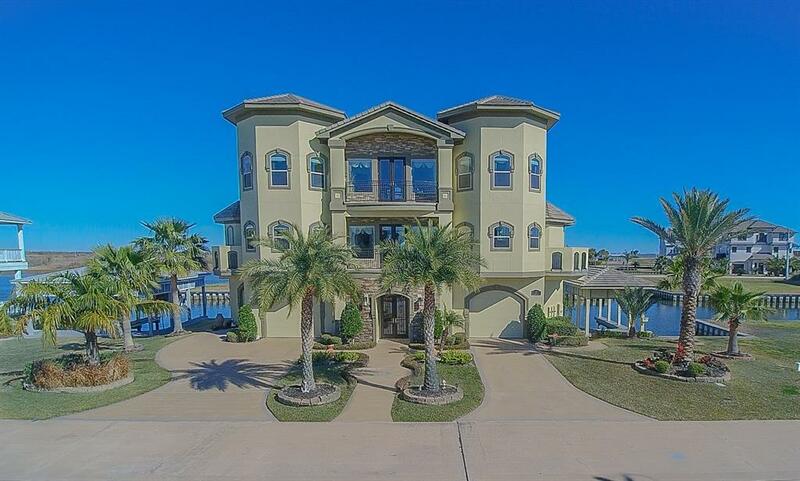 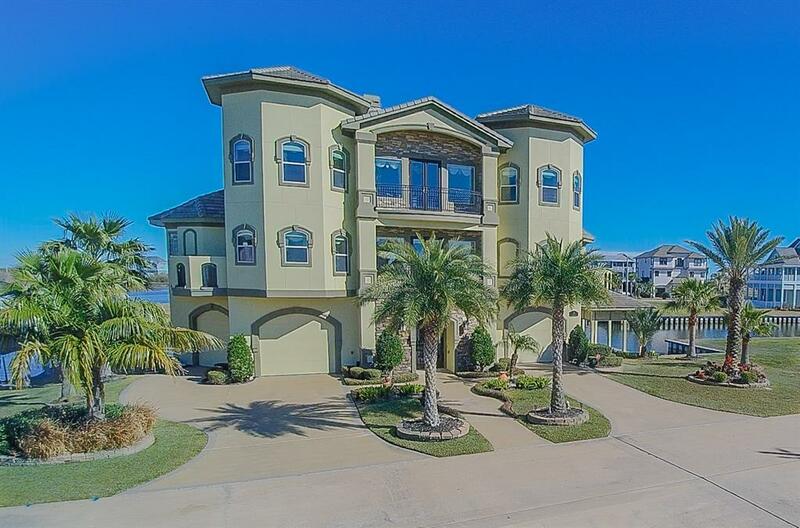 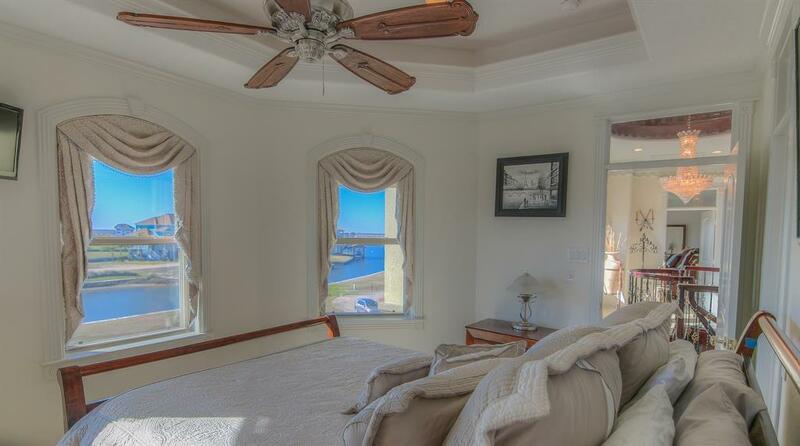 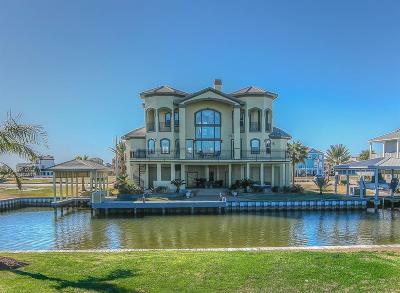 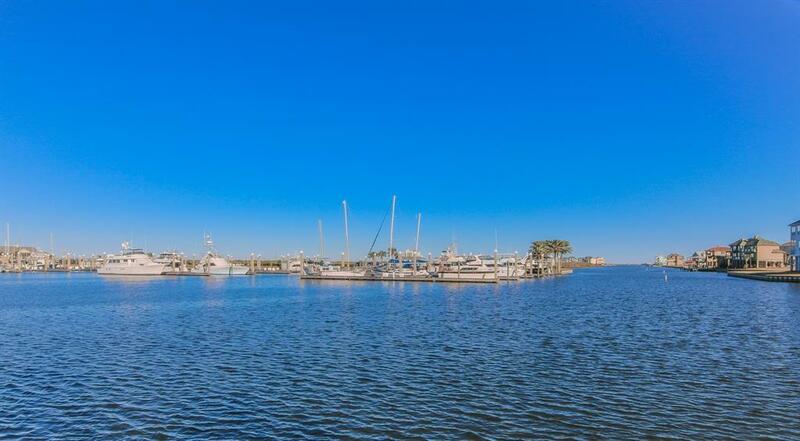 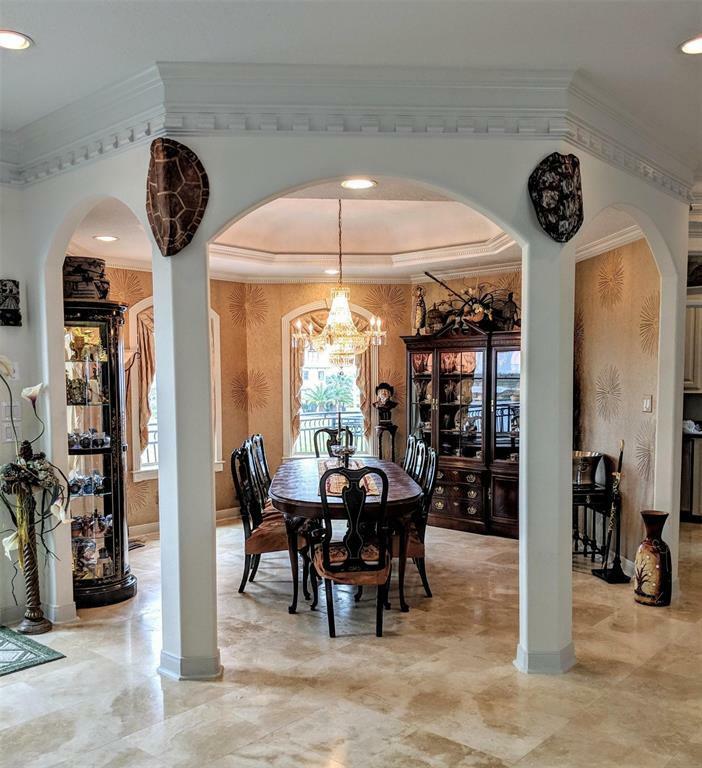 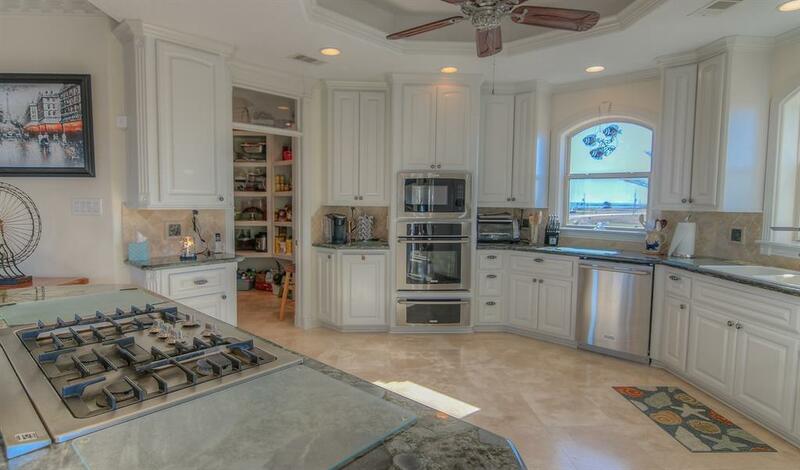 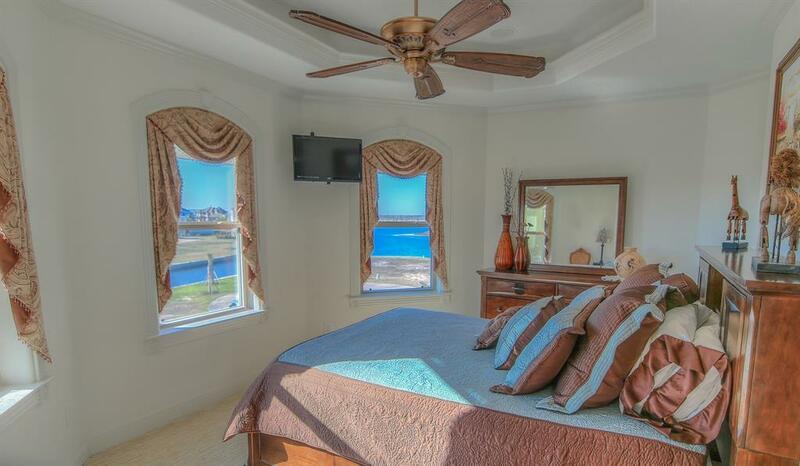 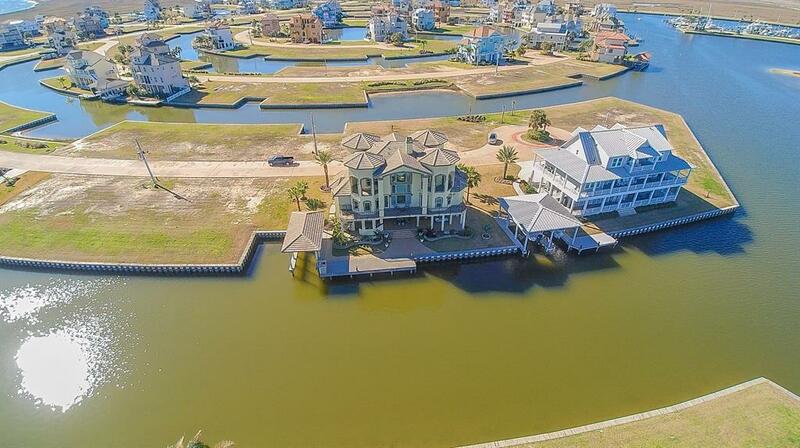 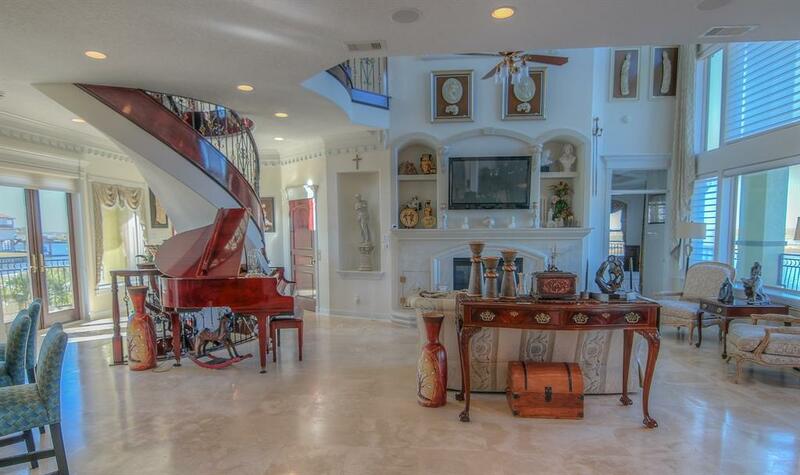 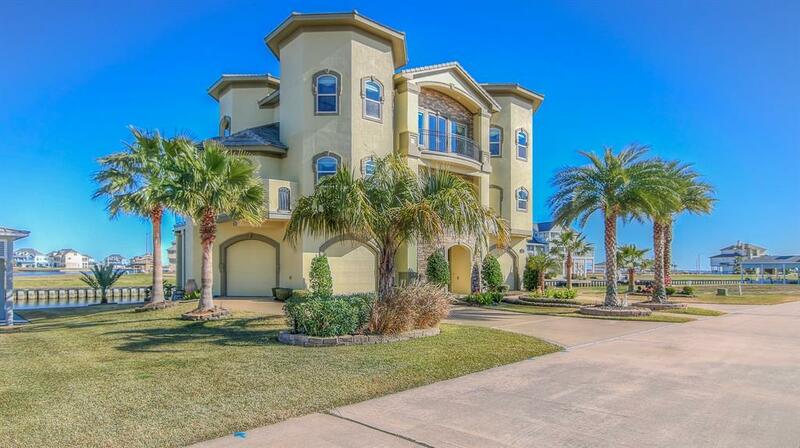 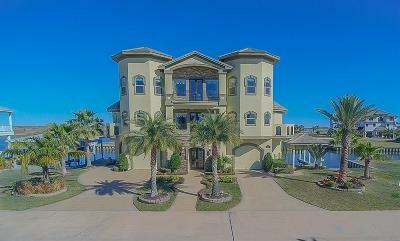 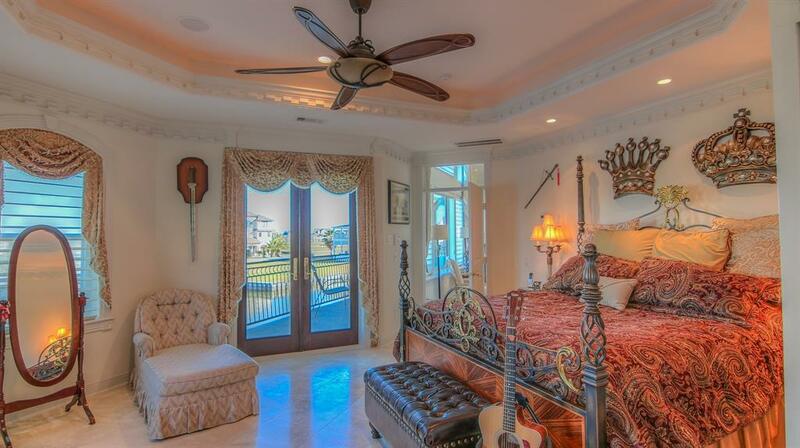 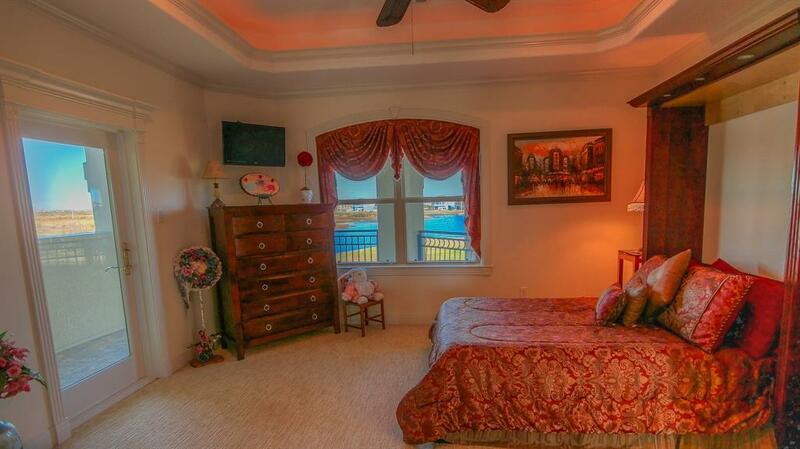 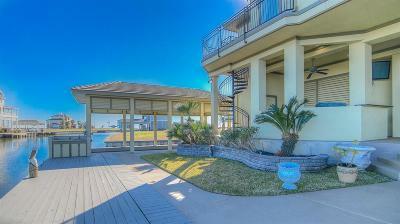 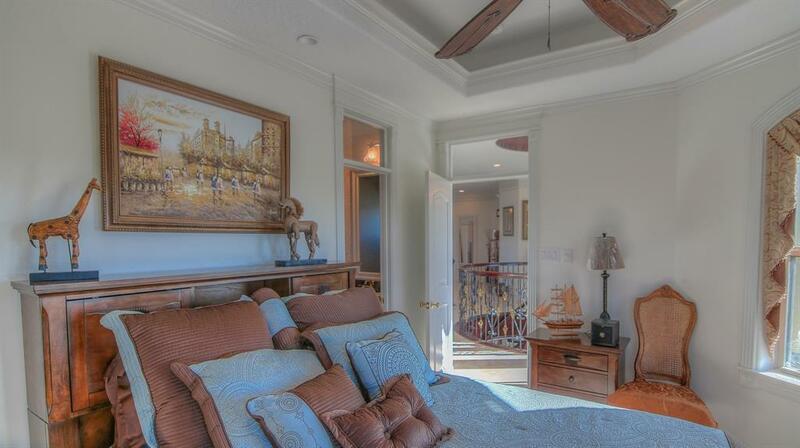 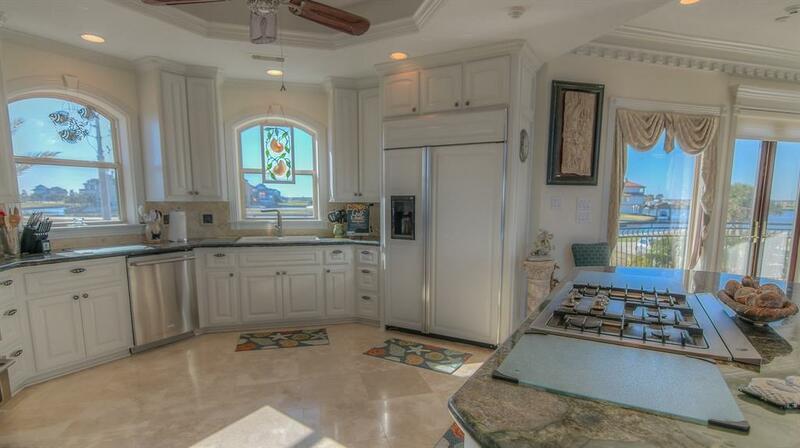 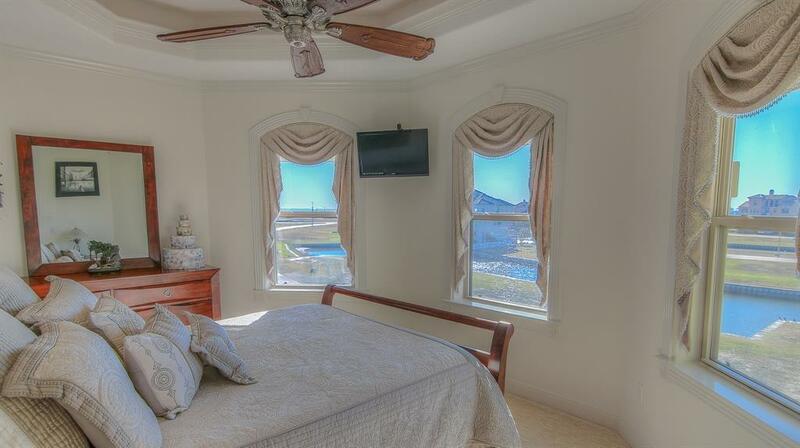 Elegantly appointed three level house located in exclusive, double gated Harborwalk on wide circular canal with 112' canal front,1000 yds from Galveston West Bay. 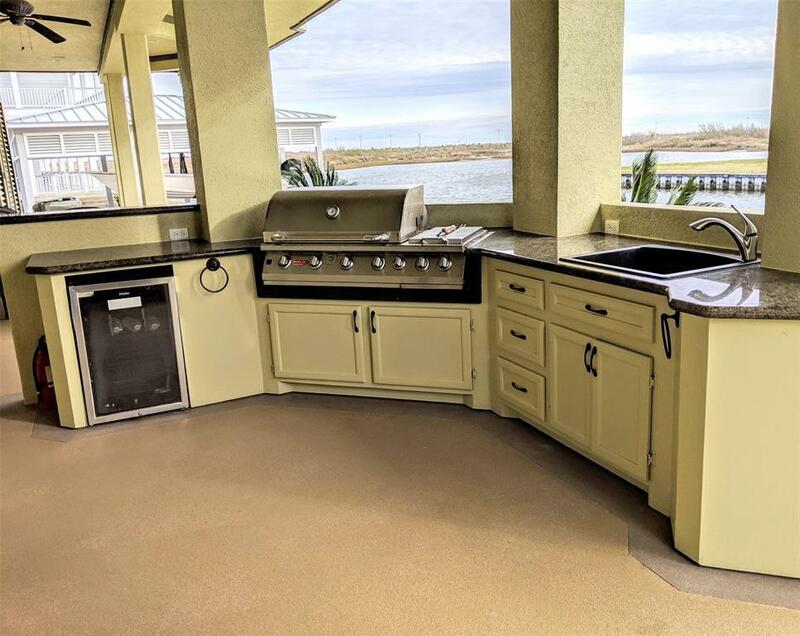 Outdoor amenities include outdoor kitchen, 35' boathouse with Sunstream Sunlift Boatlift, 40'x8' Dock, mega-watt fish light, fish cleaning station. 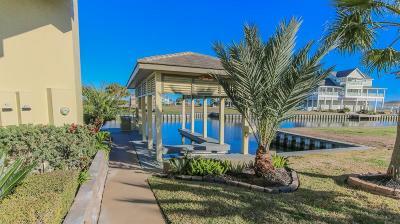 Beautiful landscaping, mosquito system, corrosion proof garages w/great cabinetry & work areas, matching customized golf cart. 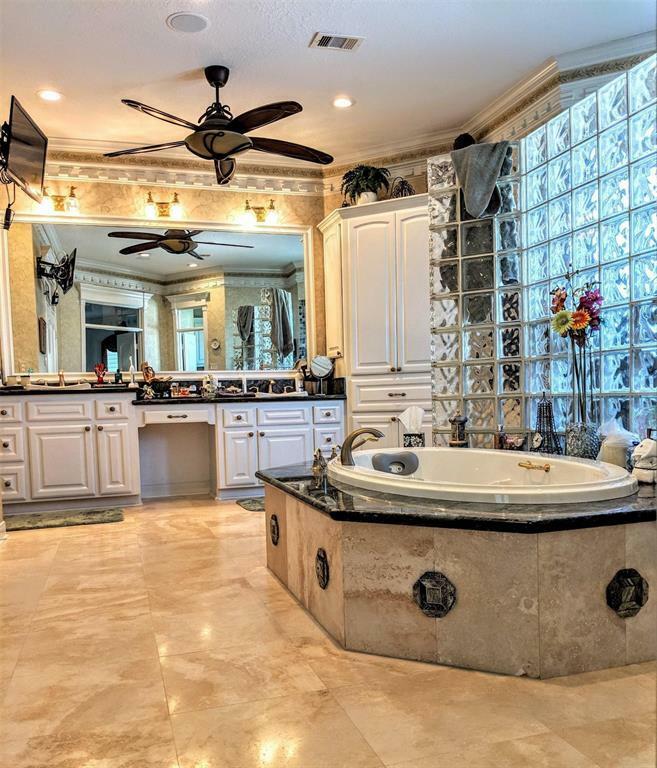 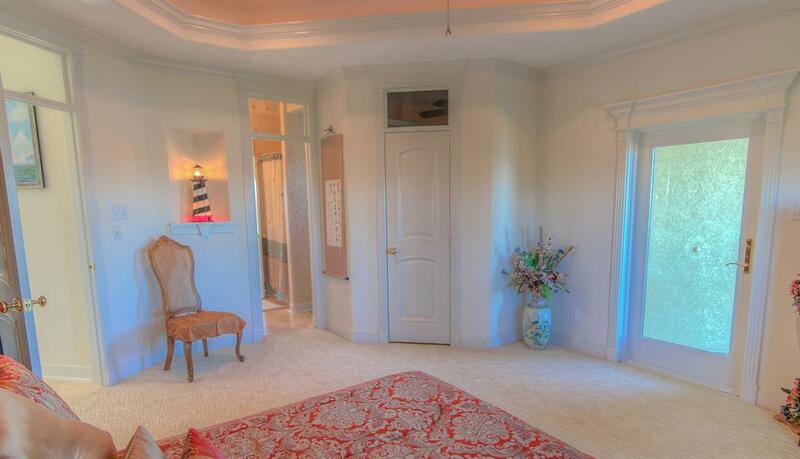 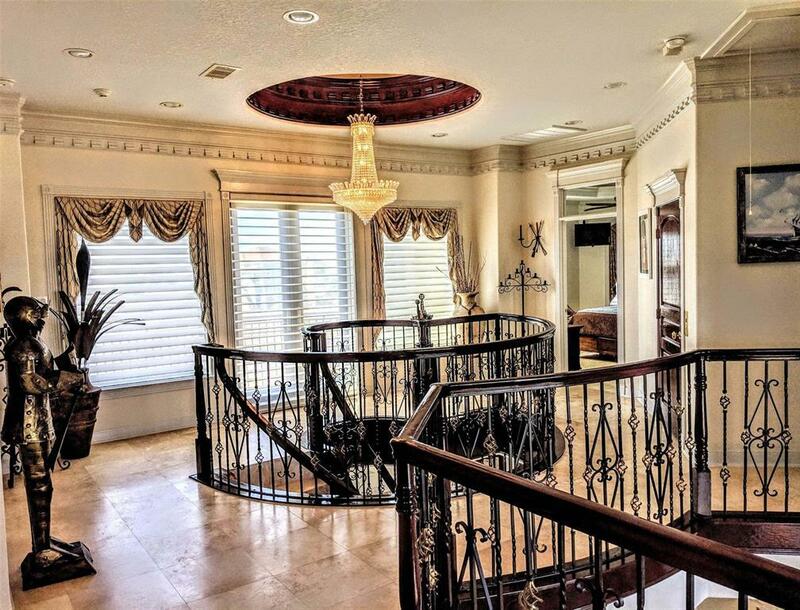 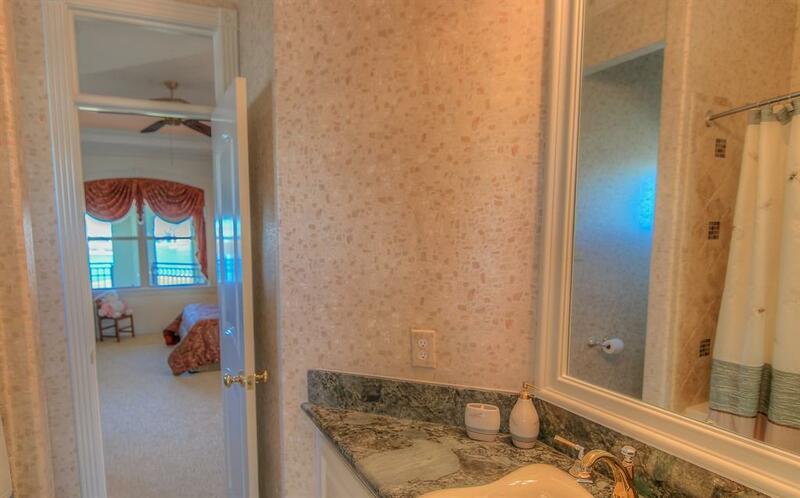 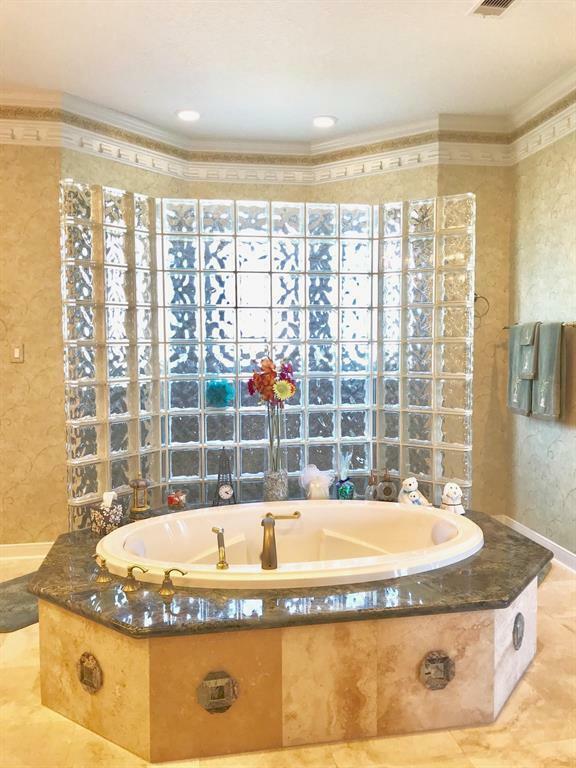 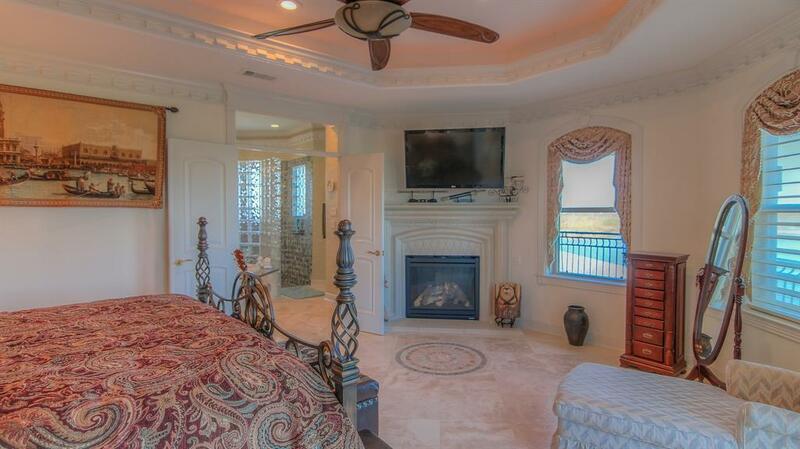 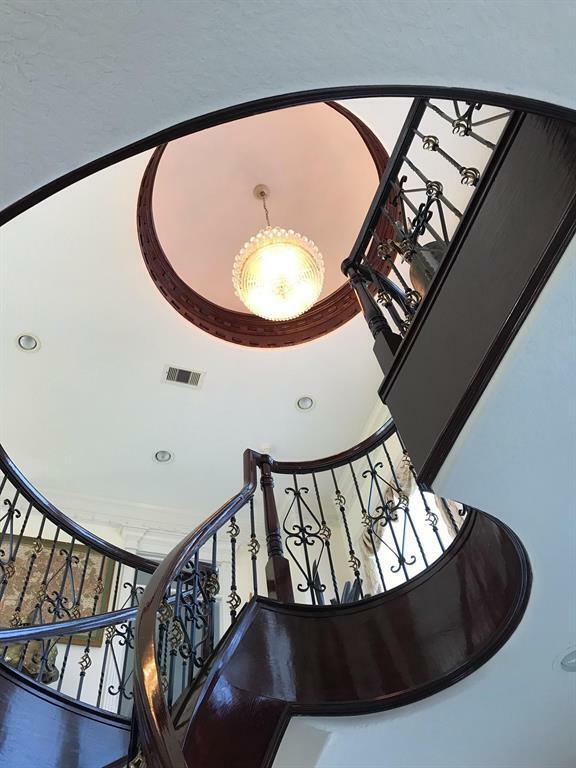 Inside amenities & equipment include elevator, 3/4 house generator, tankless water heaters, water softener, elegant spiral staircases, large niches, exquisite trim molding, oversized pantry, exquisite marble fireplaces, pool table, granite countertops, Murphy Beds, $60K custom drapes & blinds. 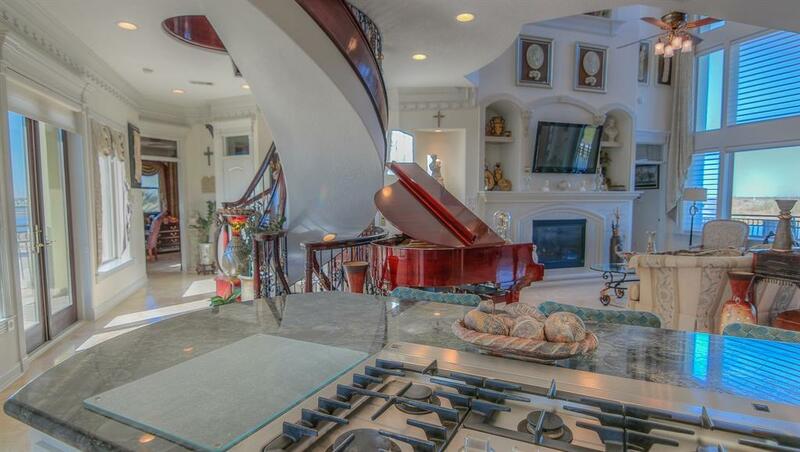 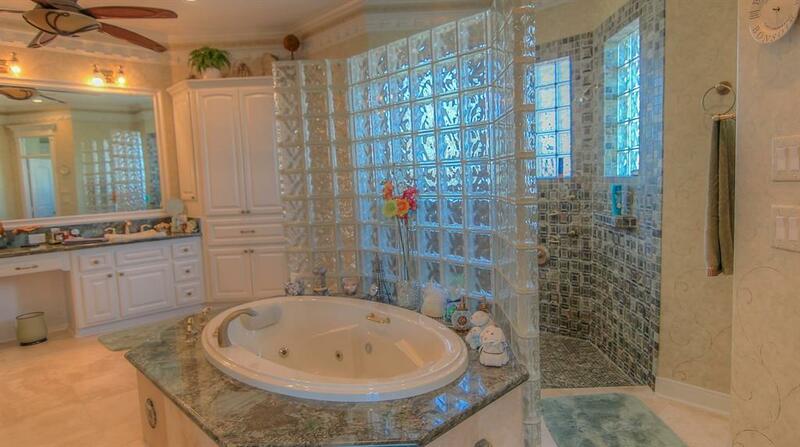 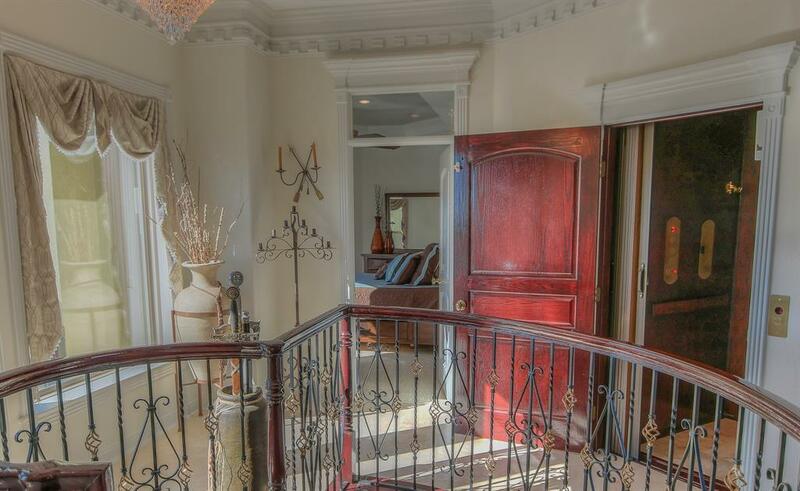 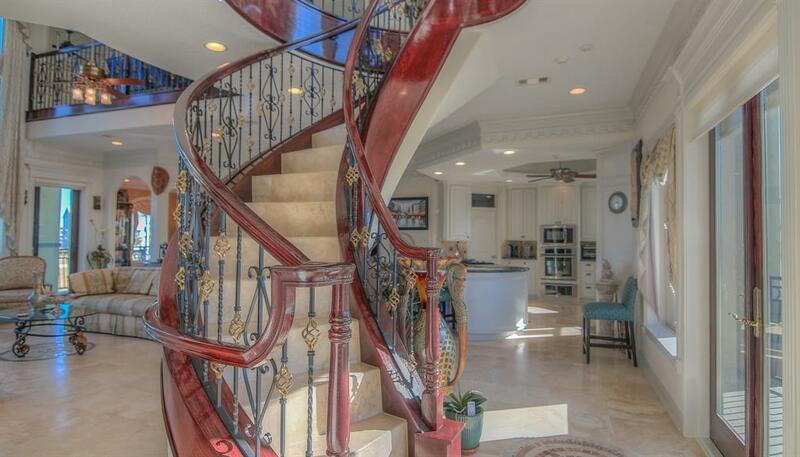 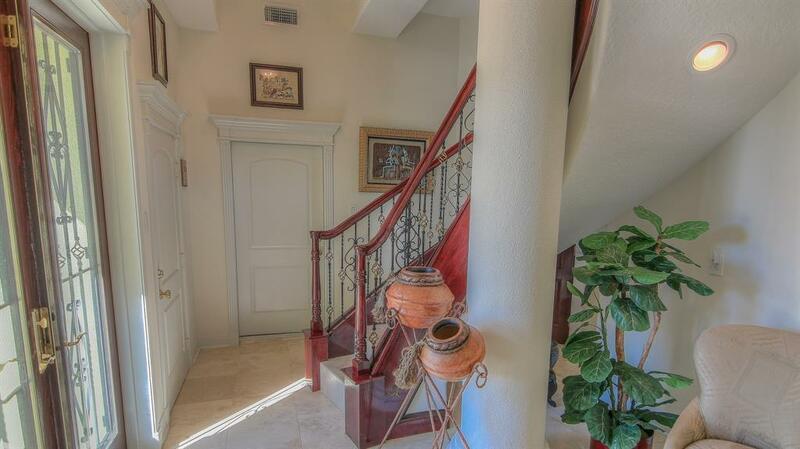 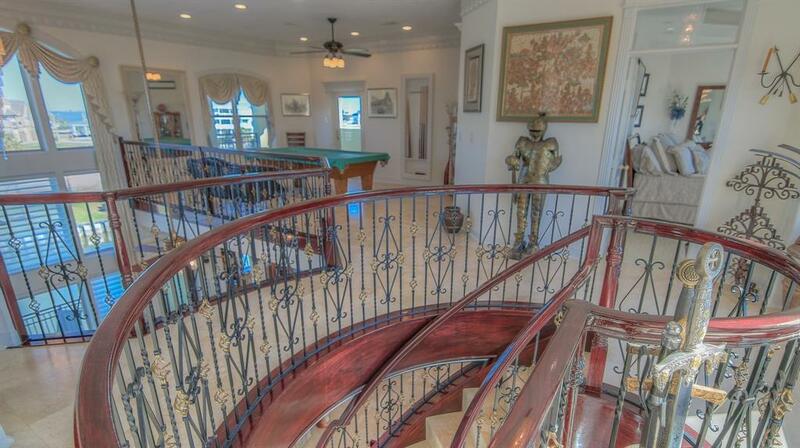 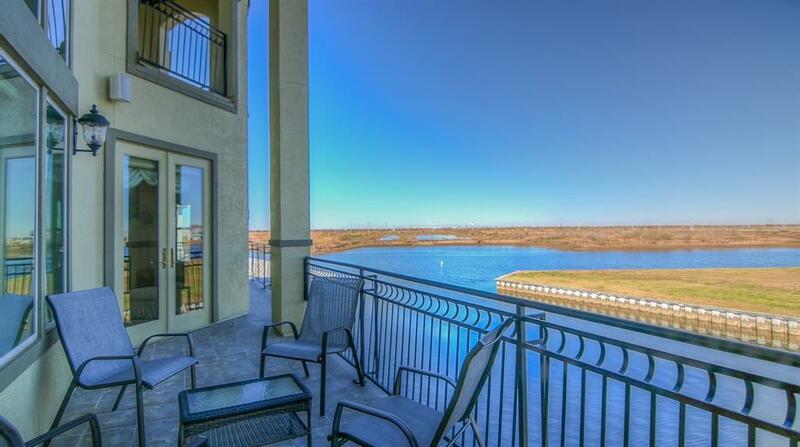 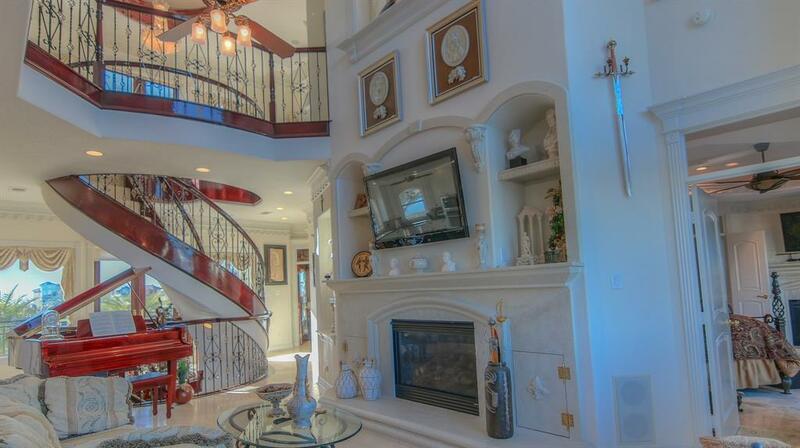 Exquisite handrails inside & out, travertine floors except in guest rooms. 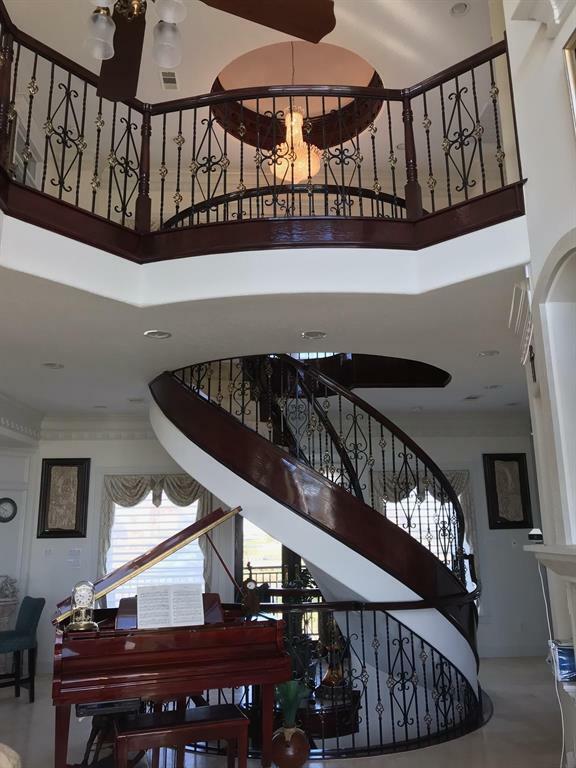 Steel Beams, flitch plates & corner gussets throughout structure. 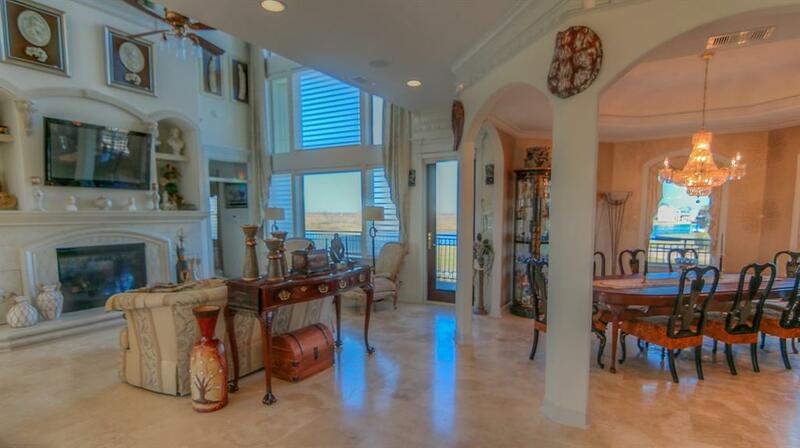 Custom concrete tile roof w/windstorm doors & windows. 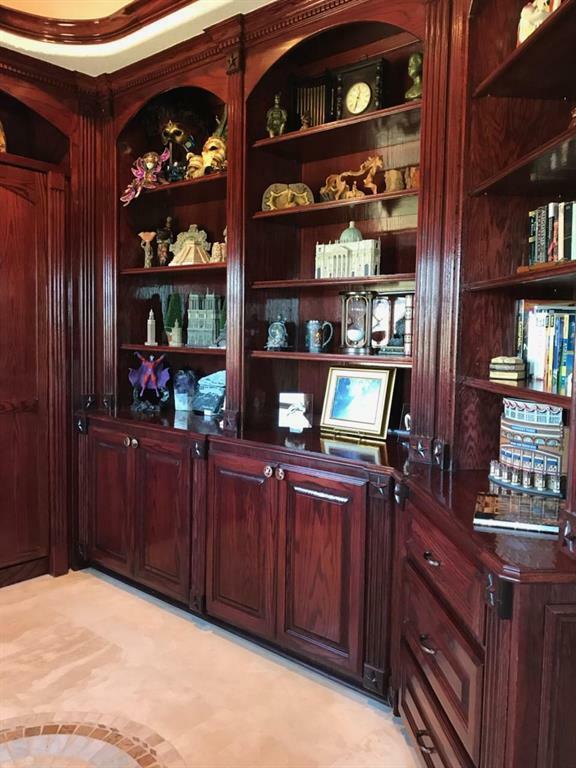 Everything repainted/caulked in late 2016. 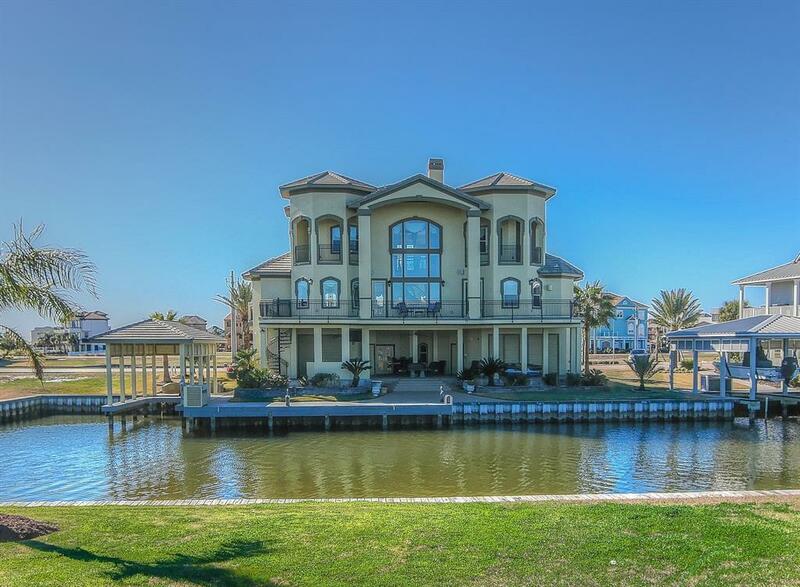 Directions: I-45 South, Take Exit 11 Toward Vauthier Rd, Turn Right Onto Vauthier St, Turn Right Again To Stay On Vauthier St, Left Onto Hwy 6 S, Right Onto Harbor Dr, Left Onto Harborwalk Blvd, Right Onto Shell Key, Left Onto Long Key, Left Onto Marathon.